A limited number of tickets will be available at the event. 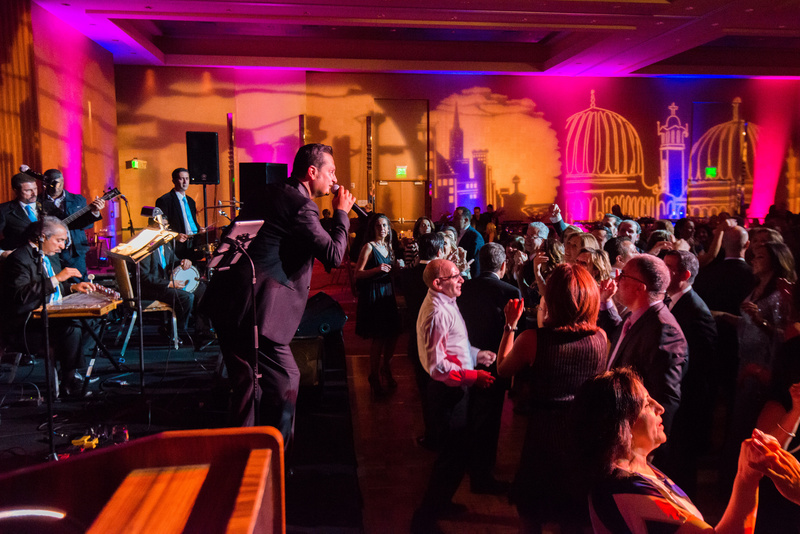 The Grand Gala, the annual fundraiser in support of the Arab American National Museum (AANM), will be held on Oct. 3 at the MGM Grand Detroit Ballroom. 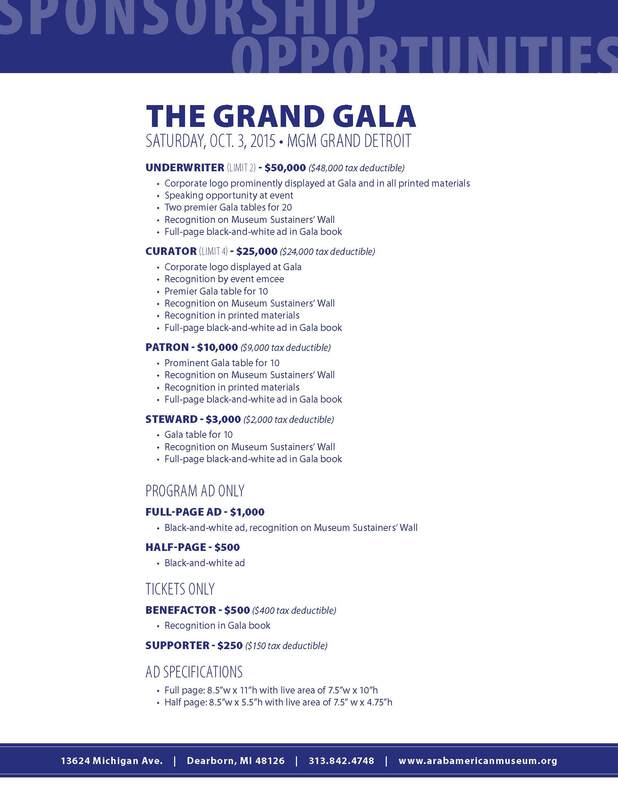 Your support benefits the Museum and burnishes your reputation in both the Arab American and greater Detroit communities. Your involvement becomes an example for others to emulate, whether large corporations, small businesses or community members, and helps the AANM to leverage further support. © 2014 ACCESS All rights reserved. ACCESS is an equal opportunity employer and program administrator committed to a culturally diverse workforce. Opportunities for employment and advancement will be available on a non-discriminatory basis – without regard to race, color, religion, age, gender, sexual orientation, national origin, handicap or veteran status.